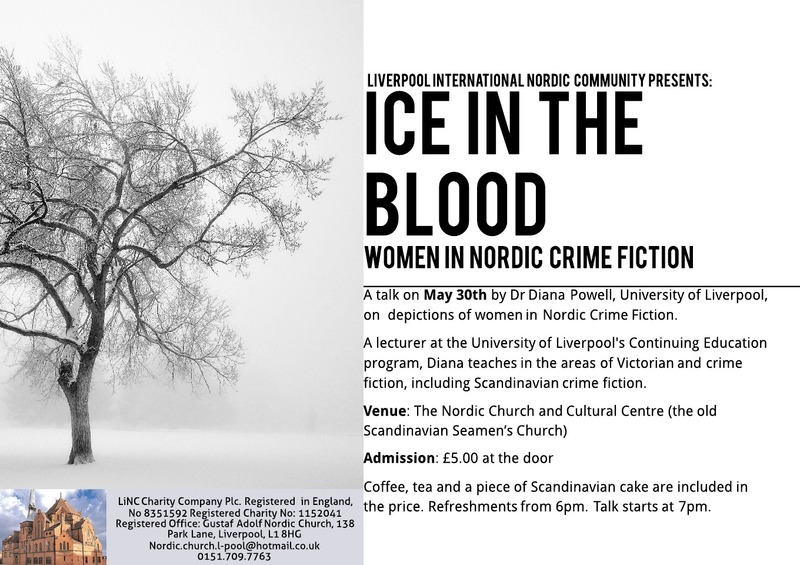 I’ve been invited to speak on Women in Nordic Crime Fiction at the Nordic Church and Cultural Centre in Liverpool on May 30th. If you’re in Liverpool, and would like to visit this historical building (and eat some Scandinavian cake), please do come along (the event starts at 6 pm). I’ll be discussing depictions of women in Nordic crime fiction.